It’s Time to Order Littleton Education Fund STAR Awards! 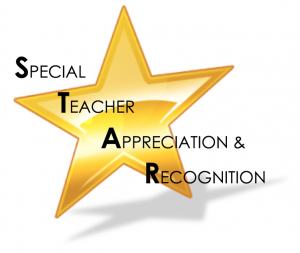 The Littleton Education Fund (LEF) is once again preparing to send STAR Awards to Favorite Educators. Show your appreciation by making a donation to LEF in the name of a favorite teacher, principal, or other educator. LEF will deliver a customized certificate in a folder to each recipient before the end of the school year. “STAR Awards are a long-standing tradition. The donations go toward future grant requests and the teachers are grateful for the acknowledgement,” said LEF board member Sharon Tully. Please complete orders by May 23, 2018.